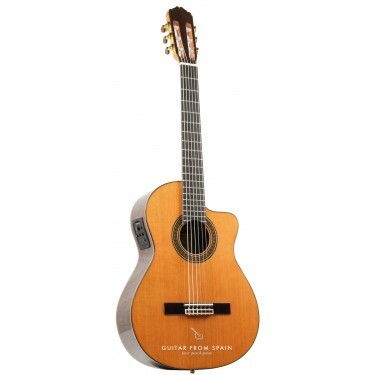 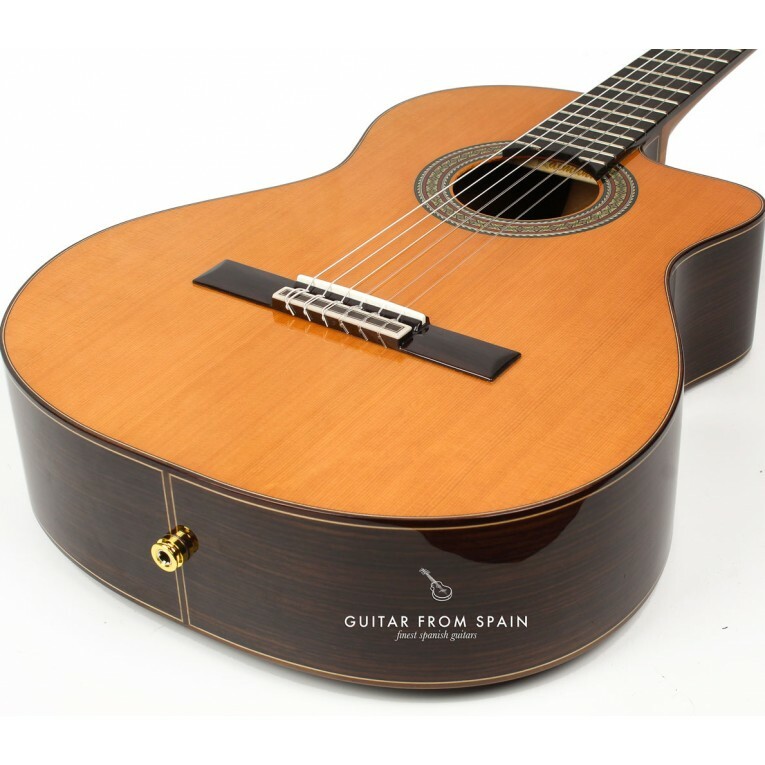 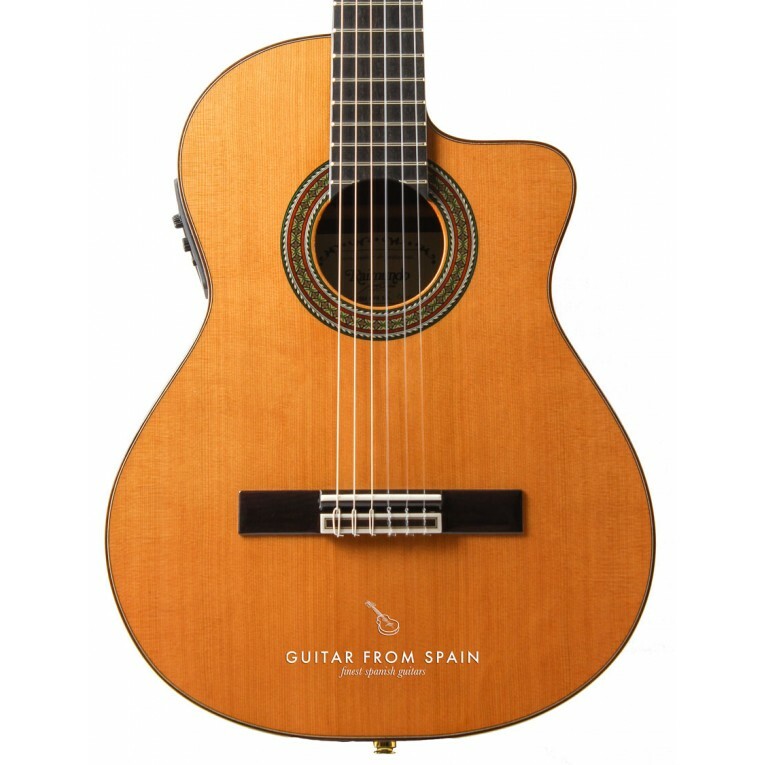 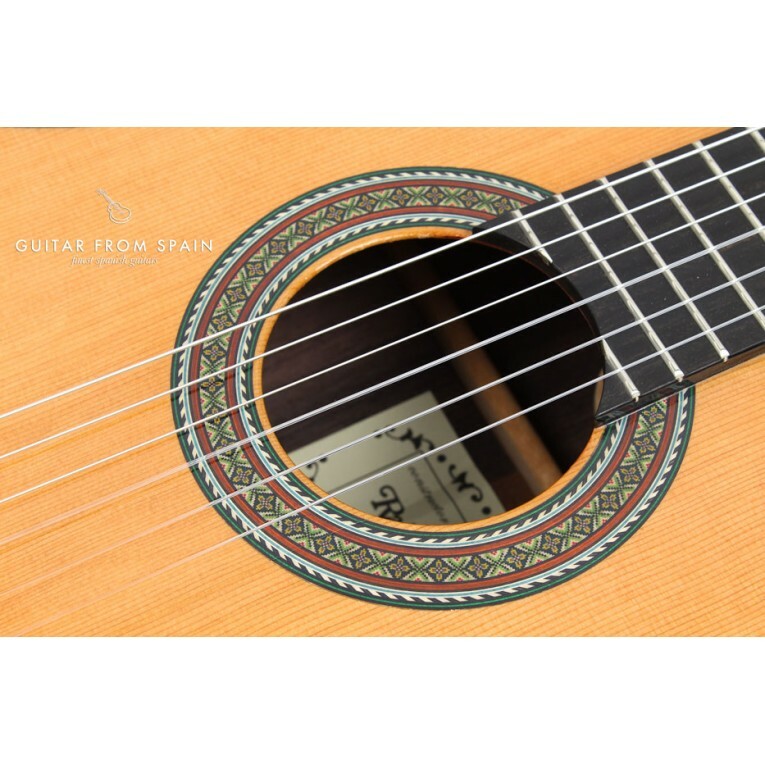 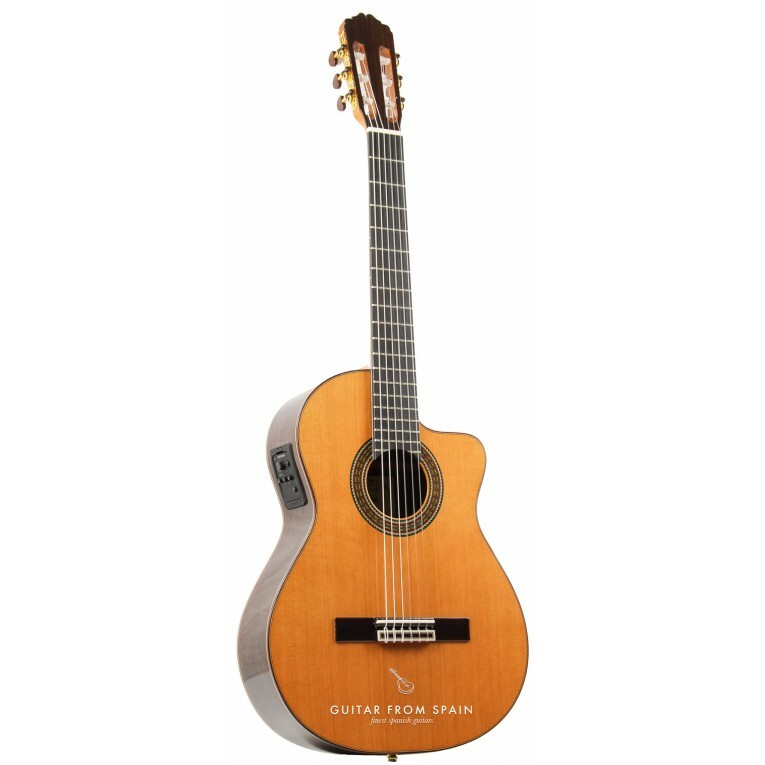 The guitar Raimundo Bossa nova 3 Cutaway is an Electro-classical guitar with cutaway made made in Spain by Raimundo Guitars with lower string action than standard classical guitars and with 640mm scale length. 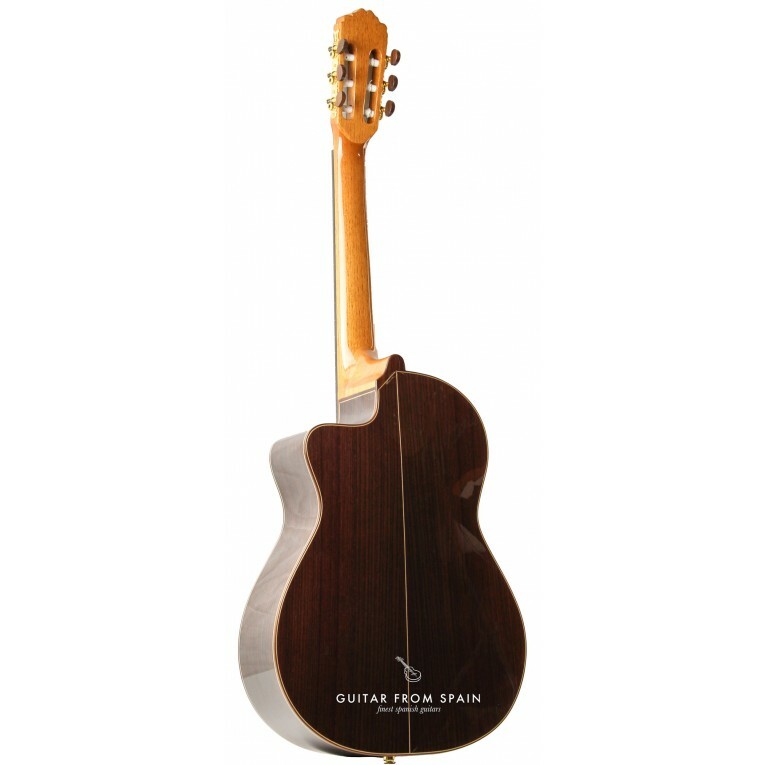 It features a solid cedar top or solid spruce top, rosewood cutaway body, mahogany neck, ebony fingerboard, and golden machine heads with wooden pegs. 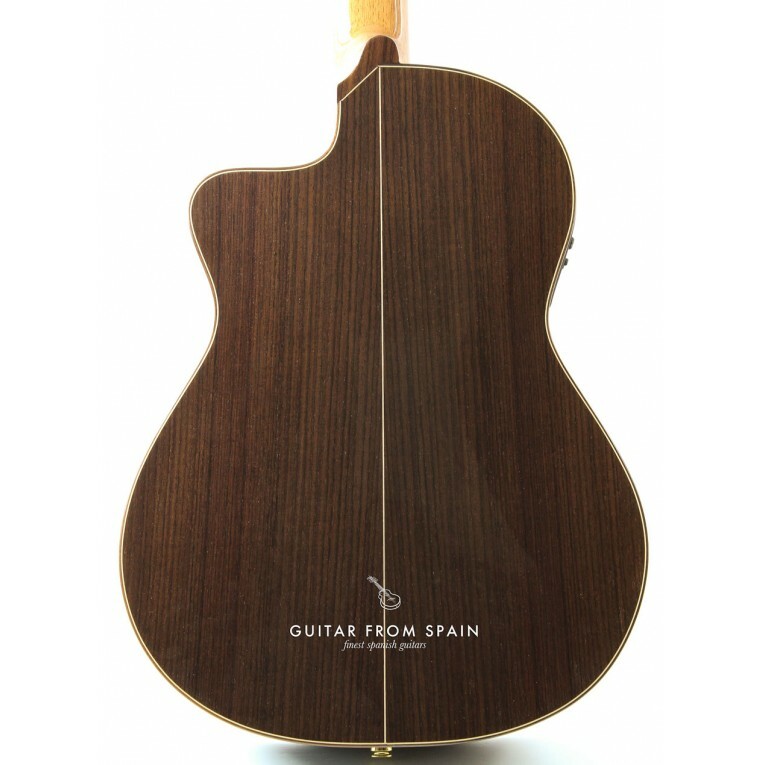 It also have a narrow neck of 50.5 mm. Beautiful sweet guitar that is lovely to play, very soulful and charming. 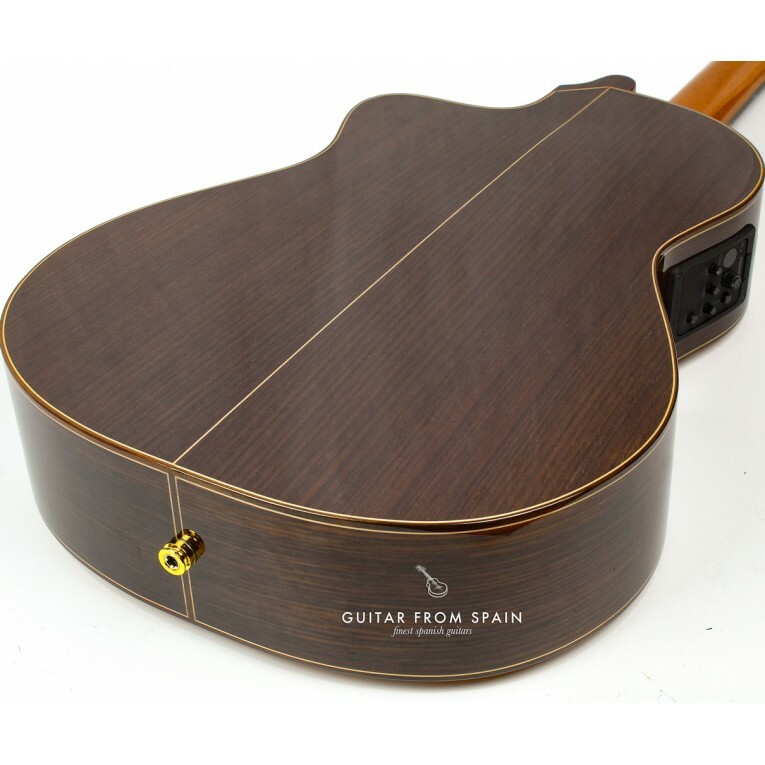 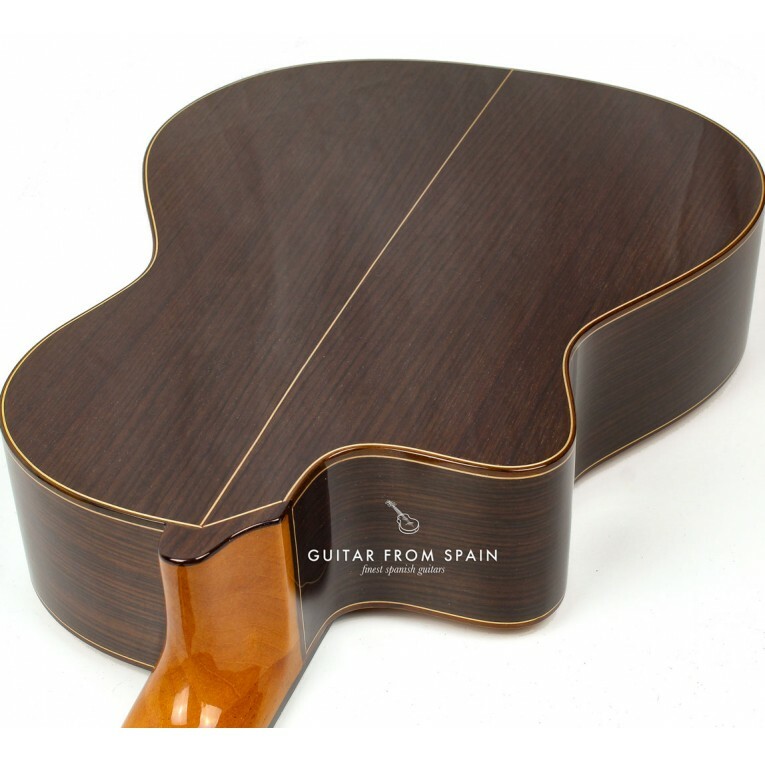 This is a new type of guitar with a special design in order to ensure maximum comfort for all types of guitar players. 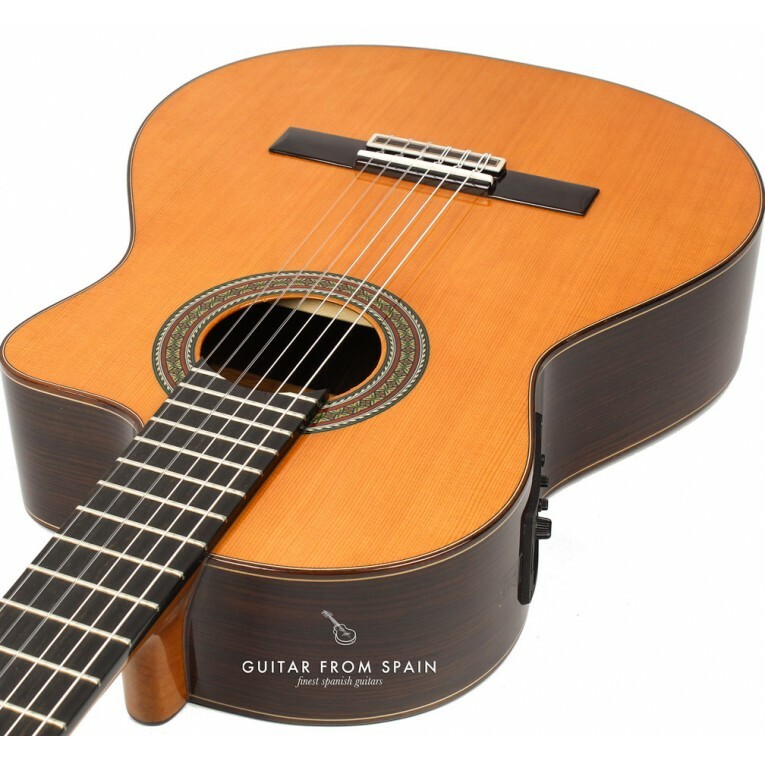 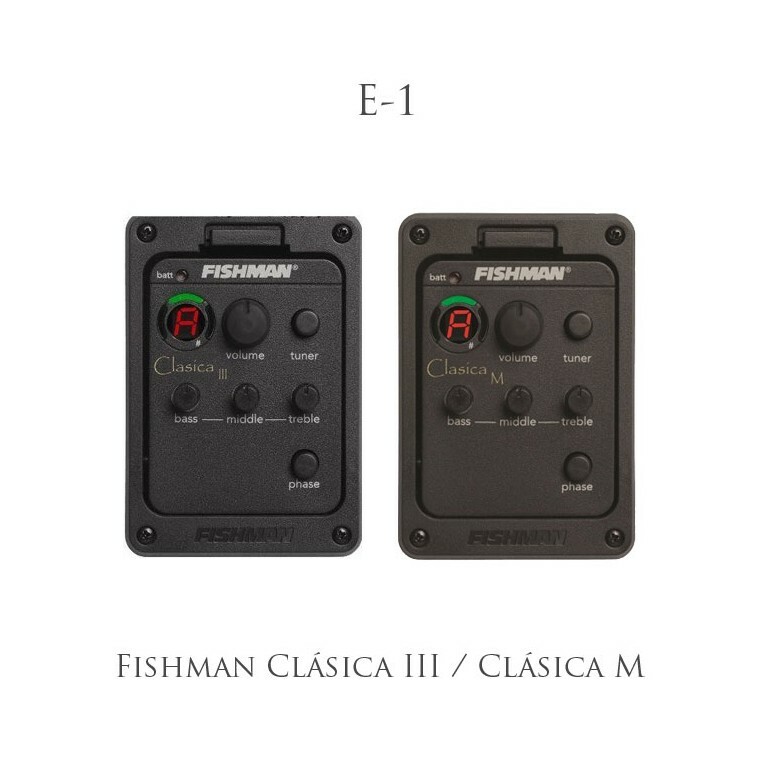 In particular, however, this model is perfect for jazz players, acoustic guitar players and electric guitarists.